International | Darcy Maulsby & Co. Sample International Clients article: Pig Progress is a magazine published in the Netherlands that bills itself as the portal on global pork production for farmers, veterinarians and other industry professionals. Purpose: This article was designed to provide an overview of key information presented at the World Pork Expo to help producers operate their business more efficiently. From soaring feed costs to skyrocketing energy prices, pork producers who attended the World Pork Expo in Des Moines, Iowa, in early June were looking for ways to control their costs and survive the current profitability challenge. The National Pork Producers Council’s (NPPC) 20th Anniversary World Pork Expo was held with slightly lower attendance than in years past– a fact that comes as no surprise, given the tough economic times producers are facing. NPPC reported that 17,756 pork producers attended the event, not counting exhibitors, staff and others who came through the gates. The number of international exhibitors increased, however, with companies traveling from Canada and Mexico as well as South America, Europe and Asia, to take part in the show. An estimated 10 percent of the producer attendees at the show were international visitors as well, coming from at least 45 different countries around the world. • Cut feed waste. Make sure that your employees are adjusting feeders properly, with 40 percent pan coverage. • Control out-of-feed events. Human error—not the bridging of feed or equipment failure—is the number-one cause of feed outages. “Of-of-feed events clearly impact daily gain and appear to impact growing pigs in the 40- to 120-pound range more than finishing pigs,” Brumm said. • Order full loads of feed. Fees are increasing for partial loads, so plan ahead and only order full loads, if possible. • Conduct an energy walk-through in your barns. With propane prices expect to rise by 25 percent this fall in America, an energy audit can help you cut your power bills, no matter where you raise pigs. “Also, you need to learn how your barn’s electronic controller works, so you can get it set correctly,” said Brumm, who added that keeping your fans fixed will also maximize efficiency and control electrical costs. • Be more aggressive with cooling. Simply blowing air over pigs won’t help if the air temperature is greater than the pigs’ temperature. In fact, higher air speeds will make pigs more heat stressed. “Cooling happens as the pigs dry, not when they are wet,” said Brumm, who recommends leaving the water on for two minutes at a time. Try using cone nozzles in curtain barns and flat-fan nozzles in tunnel barns. • Consider an aggressive euthanasia policy. Since crowding always reduces daily gain, try limiting sick pens and making better use of your barn space so all pigs can grow faster. • Build a strategic reserve of corn. Grain availability will become an issue in some places. “Try to get a two- to three-month supply, if possible,” Meyer said. • Consider long-term supply agreements with grain growers. Look for options that might work in your area. • Streamline your operation. Consider pulling market weights down, and watch feed rations carefully. These strategies become more even important when you consider that world corn usage has grown faster than supply, said Meyer, who added that the United States’ Renewable Fuel Standard calls for increased ethanol production through 2015, which will drive demand for corn. Currently, there are 148 ethanol plants nationwide in the United States, with a capacity of 9.4 billion gallons per year. By late 2009, 211 plants with a capacity of 14.8 billion gallons per year will be in use. “The ethanol plants can afford to bid a lot for corn,” Meyer added. This could spell big trouble for corn utilization. Where will the market cut usage? Probably not in exports, since the weak U.S. dollar is making U.S. corn very affordable to foreign buyers, Meyer said. In fact, both Meyer and Glenn Grimes, a University of Missouri professor emeritus who spoke at the 2008 World Pork Expo, agreed that with the convergence of market pressures, the soonest pork producers will see some light at the end of the economic tunnel is by early 2010. For more information on the World Pork Expo, visit www.worldpork.org. A veteran journalist, Darcy Maulsby has written about agriculture and livestock for more than 10 years. 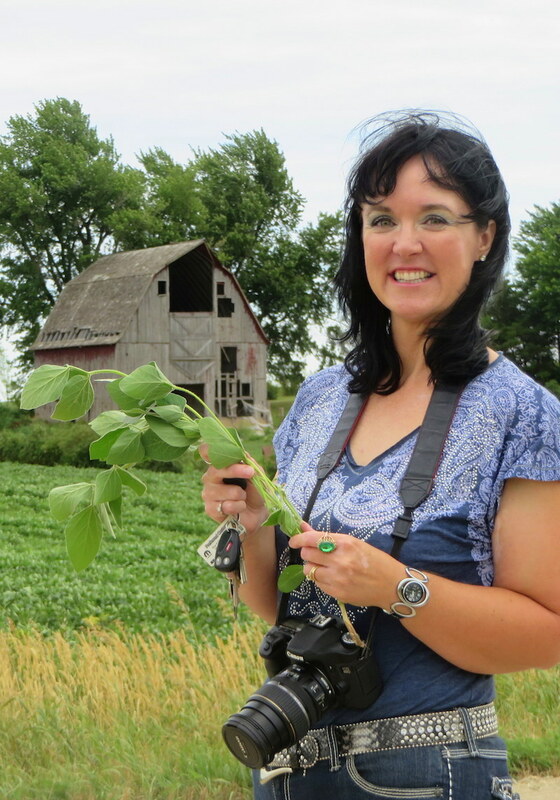 This Iowa State University graduate lives with her husband on an acreage near Lake City Iowa, U.S.A. You can visit her online at www.darcymaulsby.com.